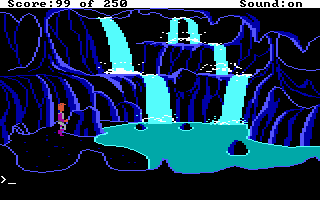 Space Quest 2: Vohaul's Revenge was released in 1987 as a sequel of Space Quest. There are no VGA remake on this title, so we have to bear with the poor EGA graphics and do a lot of typing. 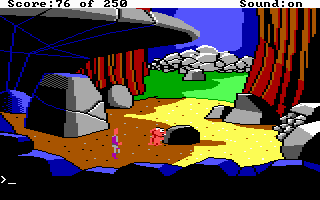 In Space Quest 2, we again follow the story of Roger Wilco. Roger, despite his newfound status as hero, is transferred to the Xenon Orbital Station 4 and promoted to Head Janitor (Really funny!). All is quiet until he is abducted by Sludge Vohaul. As Roger is being transported to the Labion labour mines as punishment for thwarting Sludge's original plan, the prison ship crash-lands in a nearby jungle upon the planet. In the end, before blowing up Vohaul's asteroid and saving the world, Roger is left in cryo sleep inside a capsule floating in space. 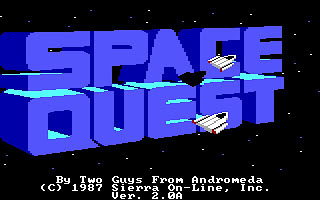 It is really obvious that the developer are going to release Space Quest 3 real soon when I first see that. 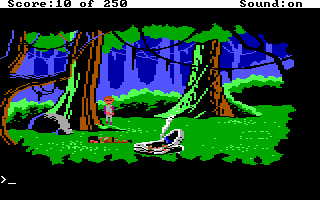 Although Space Quest 2 comes with poor graphics and lame PC Speaker sound, the storyline is so well written that we can forgive the visual and audio aspects. There are a lot of funny lines that really make me laugh every time I read it. 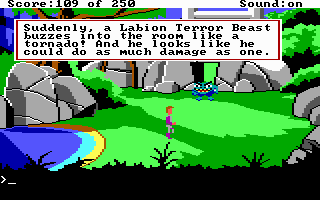 Space Quest 2 is still a very difficult adventure game if you are not familiar with text input interface. There are some quests that really need to spend long time before getting a way to get through it. 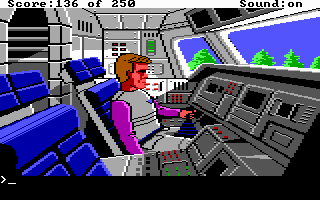 You can download Space Quest 2 and its walkthrough here.